The Rustic Modern Ranch incorporates endless unique features. The ranch style exterior has a low sloping roof, black windows with painted white brick, a real stone south wall, and painted timber framing. The interior has crawford ceilings, tongue-and-groove paneling, vaulted ceilings with timber beams. The kitchen is the focal point to capture a one in a million view of The Ozarks. Other notable features are the custom plumbing vanities with champagne bronze fixtures, flowered wallpaper, and true masonry flue fireplace for both the living room and outdoor living space. 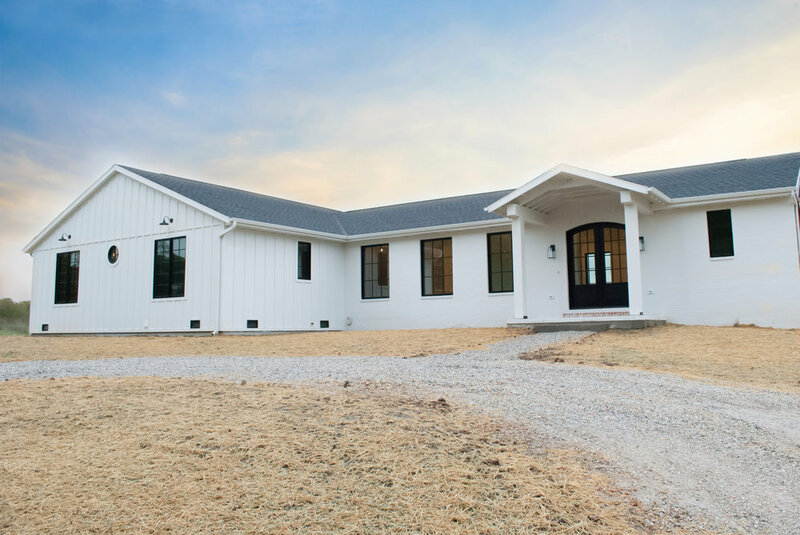 As first time builders, Austin went above and beyond to help us understand the build process, advise on best solutions for those difficult decisions to make and find ways to save without sacrificing quality.